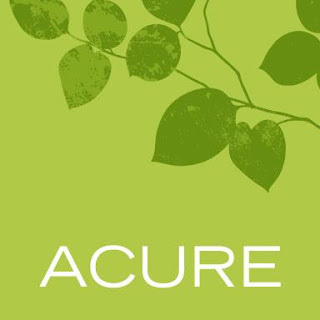 "Acure Organics is a family owned and operated company founded on sustainable principles to provide the highest quality fair trade, natural and certified organic personal care products. Our products are created with great care and are a reflection of our values. Each of our products is free from animal testing, parabens, sulfates, phthalates, synthetic fragrances, harmful preservatives and artificial colors. We travel the globe to find the most potent certified organic ingredients that meet our high standards of efficacy and purity. We thank you for sharing in our mission to have a positive impact on the world we live in." Natural, Organic, Fair Trade.. that is enough to convince me to try Acure. Those three words are what I am striving for with my family when it comes to skin care, hair care and other personal products. I was thrilled to find Acure and be able to review just a sample of the great products that they offer. 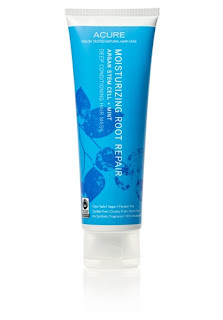 I was able to review moisturizing root repair product. This argan stem cell and mint, deep conditioning mask gets to the depth of your roots, to the ends of your hair. Fantastic for dry, treated hair. This product made my hair smooth and soft to the touch. I loved that I knew I wasn't putting any chemicals on my skin while using it! All of your skin and hair needs in a Fair Trade, organic, natural product! I love that these products are free of parabens and sulfates! I am going to check out all of their products the next time I go to Nutrition Smart. Thanks for the great review. Natural products are great, but I love that these are also fair trade! I love checking out new products that are natural and free of paraben. It's so important to be conscious of what you're putting on your skin! Thanks for sharing.